Amira Tripp-Folsom ’20 is described as "a current and future leader helping our country"
The race relations work of Amira Tripp-Folsom ’20 has earned her a National Certificate of Accomplishment from a regional committee of the Princeton Prize in Race Relations. Amira is president of La Salle’s Black Student Union, which coordinated several ways to observe black excellence during Black History Month. 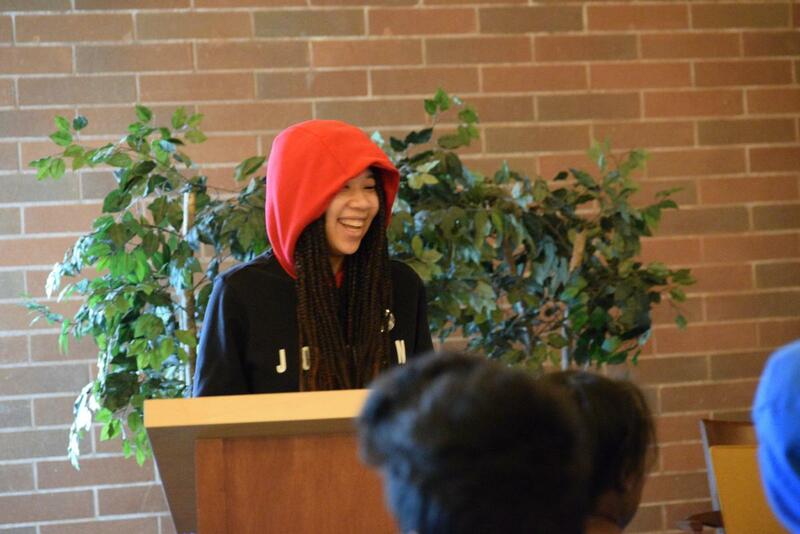 Observances included a Chapel Day during which students spoke about hurtful words, and a Racial Justice Day when many Lasallians wore hoodies with the hoods up to remember 17-year-old Trayvon Martin, the black teenager who was wearing a hoodie when he was fatally shot in 2012 in Florida. Amira also has discussed with school leaders her concerns about race relations at school. The Princeton Prize in Race Relations honors high schoolers who lead and organize efforts to improve race relations in their schools or communities. 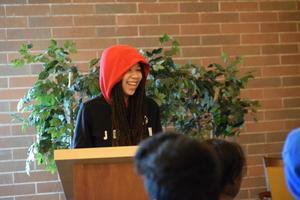 The Prize was founded in 2003 to support and encourage young activists committed to improving race relations. Amira is one of only four students to earn a National Certificate of Accomplishment from the Seattle and Western Washington Area Local Committee of the Princeton Prize in Race Relations. She has been invited to receive her award at a ceremony in mid-April in Seattle.